Today we’re going to be covering different types of atomizers to help you decide which one’s best for you. In the rebuilding realm of things, it tends to get a little confusing. There’s a lot of different names for different rebuildables out there, and today we’re going to weigh the pros and cons of each one to help you decide which will suit you best. RBA stands for Rebuildable Atomizer, and it’s essentially a blanket term for all rebuildable atomizers. The term RBA kinda goes into three different subcategories, first of which is RDA’s. RDA stands for Rebuildable Dripping Atomizer, also referred to as Drippers. RDA’s are one of the original forms of rebuilding and it’s still extremely popular today. As it’s still one of the best ways to get an immense amount of flavour and vapour. In terms of actually using an RDA; you would install your coils and then thread through your wicks. And when you want to vape, you want to drip juice directly onto the coils. As you vape the e-juice that does get absorbed through the wicks slowly gets vaporized and dried out. Then when you notice your wick are dry, you would grab a bottle of juice and drip again directly onto the coils. This is one of the most direct ways to vape, as the drip tip or mouthpiece is directly on top of your coils. This way there is very little room to let the vapour dissipate giving you an extremely dense flavour-packed vape. The downsides to an RDA is the convenience factor. Being that every four hits or so, you’re going to have to re-drip juice onto your coils. It’s definitely not a fun thing to do when you’re on-the-go. For example, if you are walking around the city, every four hits or so you have to find your bottle of juice, drip onto your coils, put the bottle back - Some people may think it's a hassle. RTA stands for Rebuildable Tank Atomizer. This is going to be most similar to your normal sub-ohm tank being like a SMOK Baby Beast, Aspire Cleito, etc. Except instead of screwing in a coil you have a build deck. 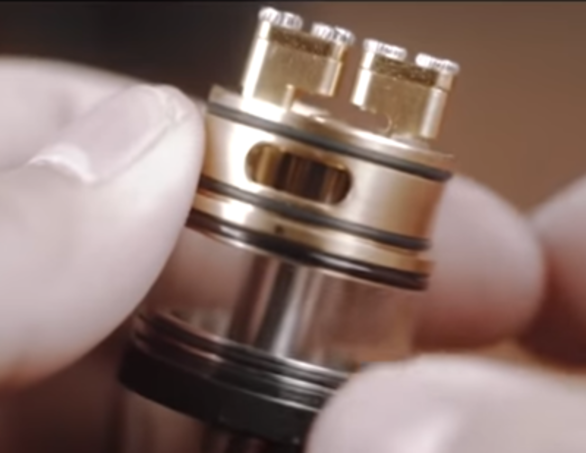 RTA’s come in many different designs, but generally, you install your coils at the bottom of the atomizer and a sleeve goes over the top of the build deck to create a type of chamber. Then juice gets fed through the wick holes, which lead to your coils. 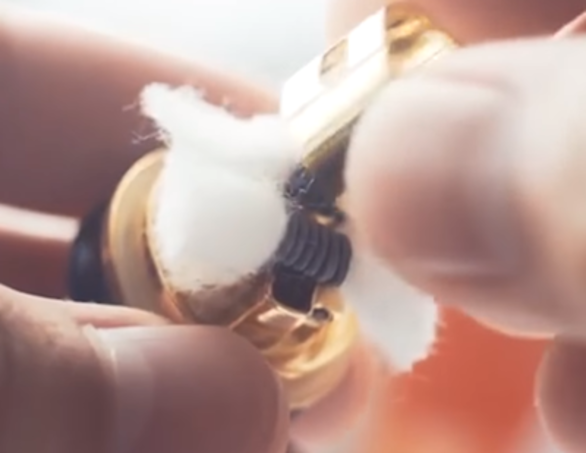 Now this definitely brings a convenience factor to the game, being that you don’t have to constantly drip juice onto your coils whenever you have a vape. Where RTA’s tend to fall back on is leaking and versatility. Because your wicks are essentially what’s stopping your tank from leaking - if you don’t have your RTA wicked correctly juice is going to sneak past the wick holes into the chamber and then out the airflow. Which is definitely not a fun time. Also depending on the design of the RTA and the type of coil you have installed, the RTA might not be able to keep up with wicking. This means the coil is vaporizing more than the wicks can absorb. This would be a culprit of wick holes being too small. You can combat this by turning your wattage down, or even installing higher ohm coils. Also there is a chamber covering the build deck this doesn’t give you much wiggle room for bigger builds. We might be able to combat the leaking and versatility issues of RTAs with the next type of rebuildables and that would be RDTA’s. This might be one of the most confusing ones. 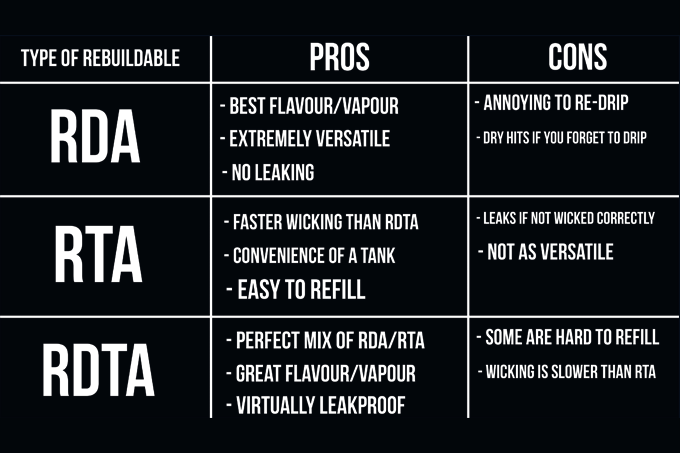 RDTA stands for Rebuildable Dripping Tank Atomizer. I know it’s a little confusing but wait until I explain a little bit more and it might make a bit more sense. So RDTA’s Move the build deck from the bottom of the atomizer to the top, and it almost looks like an RDA on top of a tank. Essentially you’d build your RDTA the same way you would build an RDA. But instead of tucking your wicks underneath your coil, you would push them down a set of wick holes that would lead to a juice reservoir. So how it works is as you are vaping, juice in the reservoir is going to get absorbed by the wicks and then onto your coils. RDTA’s are my prefered type of rebuildable, as you do get a vape extremely close to dripping but you also have the convenience of a tank. Also because the juice reservoir is on the bottom there isn't anywhere really for the juice to leak out of unless you leave it on its side. All of your openings like your airflow and whatnot are at the top of the atomizer. So there is nowhere for the juice to leak out of, like an RTA. 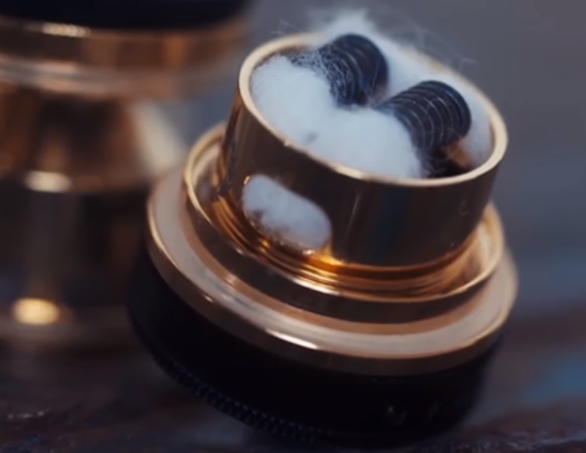 In terms of performance, it’s definitely not going to give you a vape as dense and flavour packed as an RDA because there’s definitely not as much juice saturating your coil, as there would be if you were to directly drip onto them. But it’s still an extremely nice vape, as like an RDA your drip tip or mouthpiece is directly on top of your coils. But with that being said some RDTA’s also have smaller than average wick holes meaning that like RTA’s, if you run a higher wattage build it might not be able to keep up with wicking. With all this being said, the actual design of your rebuildable atomizer is going to play a huge role in your experience as well. This is just a general idea of how these products work and what they mean. In short; RDA’s are great for immense flavour and vapour production. But if you’re looking for something on-the-go, always dripping on your coils does get pretty annoying. 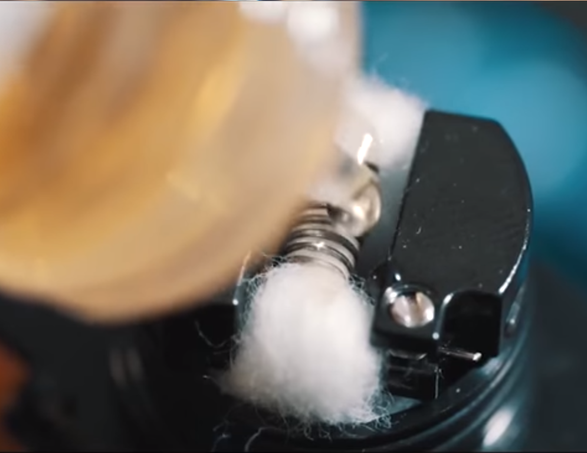 RTA’s answer that by putting a tank on top of the build deck, but unless you wick it right you’re going to run into leaking issues and you don’t have too much room for bigger builds. RDTA’s are the perfect blend of the two. With an RDA build deck with a tank reservoir on the bottom. This is a great option if you’re looking to install bigger coils, but also have a juice reservoir with you. You essentially get both benefits of an RDA and an RTA. But if you do like to run extremely high wattage builds, most of the time the wick holes won’t keep up.